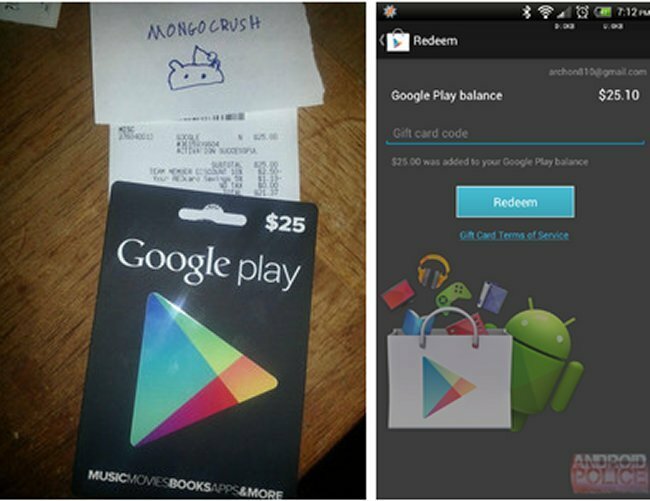 Last week we saw evidence that Google Play gift cards were going to be made available to certain stores so that you can purchase games, music, video or premium apps. It looks like they are making their way to stores. A Target shopper found a bin near the cash registers and pulled out a $25 Google Play gift card before they were supposed to go on sale. The card was successfully redeemed by Android Police, so it shouldn’t be too long before the cards are officially in stores everywhere and ready to go. Radio Shack will also be offering the Google Play gift cards according to an anonymous employee and a leaked promotional flyer. It looks like the cards will be available in $10, $25 and $50 amounts. They make a great gift for your friends.